All at the 2017 wade Asia conference appreciated the energy, talent and passion that Vertica and Madhurima and their team bring to these events, including their carefully and thoughtfully curated panels of speakers. With its combination of work and play, the exchange of information and the sharing of stories, deep thought and humour, there was never a dull moment at the conference. I met really interesting people (architects and designers, women and men of all ages and backgrounds, from different states in India), who I normally would not have encountered. Vertica and Madhurima are right in describing wade Asia is ‘Not Just an Event but a Movement’, as it explored themes such as challenges in starting a business; scaling up businesses; Asian architecture; working with one’s life partner; luxury; slum redevelopment; and building with local traditions and knowledge. During the event, I conducted the following interview with Vertica and Madhurima. 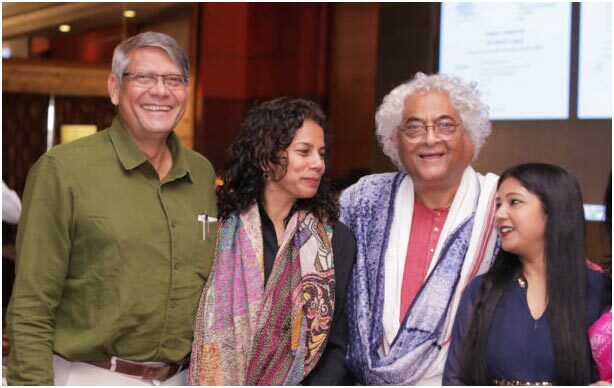 Dean dcruz Goa, Anupama Kundoo (Spain), Padma-Bhushan-awardee Rajeev Sethi and Vertica Dvivedi. 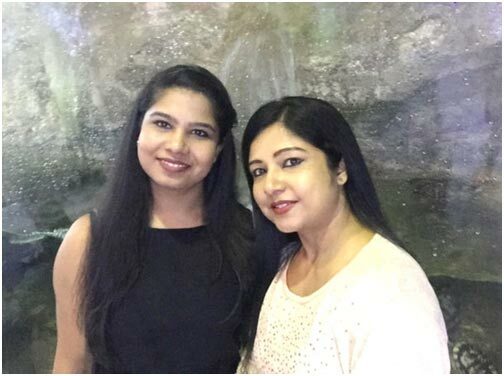 Vertica Dvivedi is the Founder of wade Asia, wade India; Chief Editor of Surfaces Reporter magazine; and Director of Bigsea Marcom (I) Pvt. Ltd. In 2017, she was awarded an Excellence Award under the ‘Women entrepreneurship’ category by the Associated Chambers of Commerce and Industry of India (ASSOCHAM) during their 5th smes. Vertica has also received awards such as the ‘Exceptional Women of Excellence 2017’, by Women Economic Forum; the Hafele ORBIS Award for being the ‘Hafele Woman of Influence 2017’, and the ‘Indian Women Achievers Award’ in 2017 by the National Summit for Women, organised by Anchor Media. Anuradha (Anu) Chatterjee is an Indian-Australian architectural historian, academic, author and designer based in Sydney, Australia. She received her PhD from UNSW. Her third book, John Ruskin and the Fabric of Architecture (Routledge, 2017) has just been released. Anu currently works as Senior Architectural Researcher and Heritage Advisor at Cracknell and Lonergan Architects.